This is a big nugget from VMworld 2018. Today VMware ESXi gained the first new architecture supported in a long time. 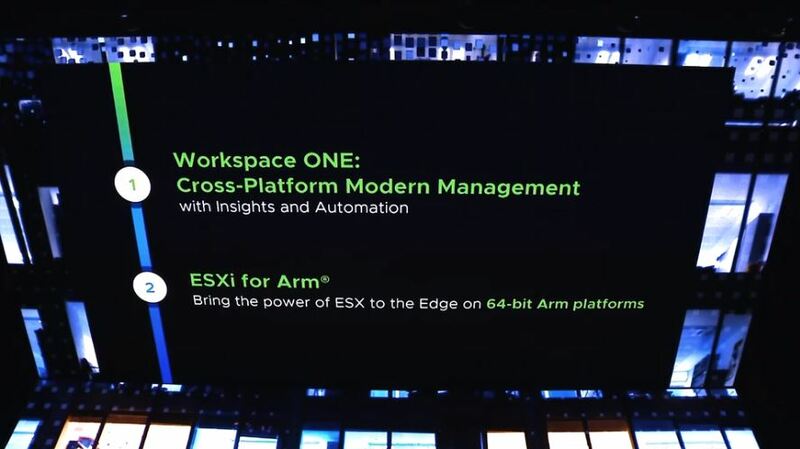 VMware ESXi is coming to 64-bit Arm. Let us be clear, this absolutely needs to happen for VMware to stay relevant over time. Looking to next-generation infrastructure, companies are building edge locations. If you think of IT as a pendulum, the swing from decentralized to cloud data centers happened. Now the pendulum is swinging back towards edge investment. New network technologies like 5G, and the applications that they will enable are pushing investment to the edge. That move to the edge, and out of the enterprise data center has been brutal for VMware. “free” solutions like KVM virtualization and containerized workloads are the way these edge deployments are happening. 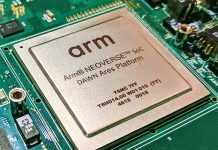 Arm dominates the edge and IoT space. As Arm cores get more virtualization features and more performance, virtualized workloads at the edge become increasingly possible. After losing out on the virtualization opportunity in the cloud (largely built on KVM and Xen hypervisors), VMware did not want to miss another deployment ecosystem opportunity. 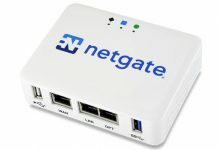 VMware needed an offering to address this space before it lost an entire ecosystem of nodes. One of the fascinating benefits to this may be the impact to Arm in the data center. A company deploying a Marvell Cavium ThunderX2 server with VMware ESXi will have the ability to migrate VMs to edge ESXi nodes. That is a big deal. On the x86 side, one can bring up a VM image on edge Xeon D and Atom devices that run on Xeon (or AMD EPYC) in the data center. While one can bring up KVM virtual machines on ThunderX2 and edge 64-bit Arm devices, VMware shops will likely prefer to manage Arm as part of their existing toolset and IT support staff. More to come on this as additional details emerge. This is a good sign for the industry. 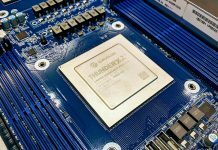 When will the Vmware Esxi software be available on ARM cpu ?.